Whenever I go to Hong Kong, I almost always buy a new case for my iPhone. I don’t know why I always end up buying them! These are my latest purchases. From left to right: Jonathan Zawada iPhone cases featuring Karl Lagerfeld as the Terminator or some other robot and another with a female robot wearing an Alexander Mcqueen design; Leshine metallic case with Swarovski crystals; and Ozaki “No Extinction” case with hairy leopard print. Who said laptop bags are boring? 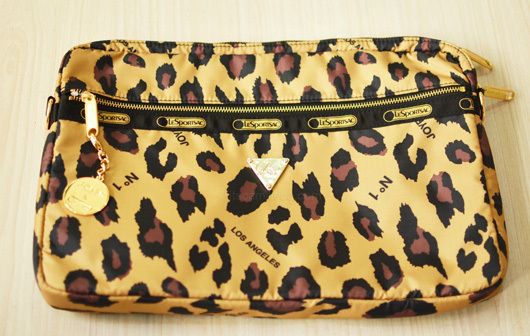 Check out this leopard print laptop bag from American lifestyle brand, LeSportsac. 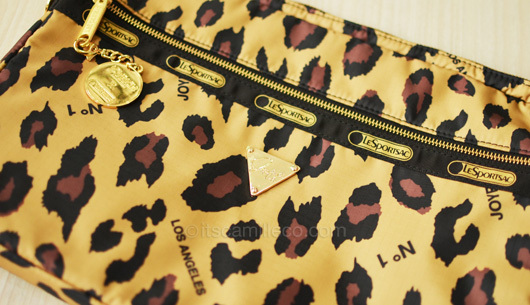 The brand teamed up with design company Joyrich to create its Fall 2011 collection full of fresh and innovative styles. With a laptop bag like this, there’s no need to sacrifice fashion over function! You can definitely have both! Remember the 1-week old camera I’m selling? This is it! I actually got it from Kim Store a.k.a. the easiest store to transact with! I ordered this baby one random night and I got it the very next day! 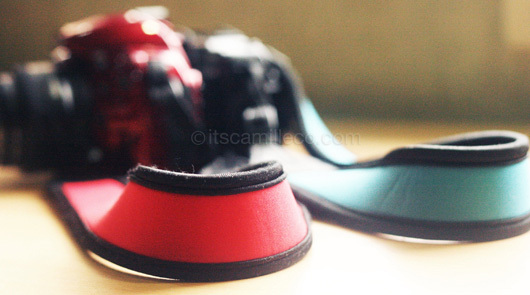 Anyway, why not dress your camera up through colored straps? 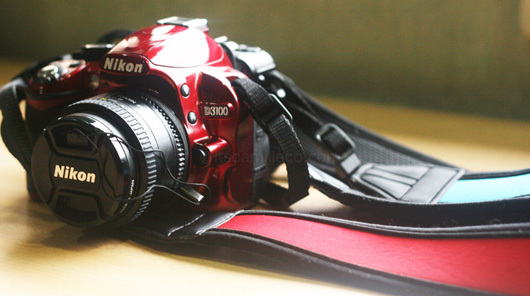 I got a matching red strap for my red Nikon and a whole bunch of other colors for my other cameras as well. If you want one of these too, visit Extreme Deals. My personal favorite is the pink leather strap with pouch. If you’re not into straps, Extreme Deals also has a bunch of other cool accessories for your photography needs. Usually at The A Store but at night, there are vendors that set up shop near Times Square! :) Super cheap!